Chocolate is certainly a guilty pleasure. In the midst of finals and schoolwork, chocolate is my go-to treat when I want to live a little. So in early November I decided to search and venture through Boston to find the perfect chocolate shop. Lindt and Godiva are popular and well-known options, but I wanted something less corporate; I wanted comforting and cute. I was delighted when I found Beacon Hill Chocolates, one of the most adorable shops along Charles Street in Beacon Hill. Just walking to the store was a delight in itself. If you've ever taken the time to explore Beacon Hill, you know its beauty well. Historic, ornate buildings line the cobblestone streets, and inside one of the adorable buildings is your new chocolate obsession. 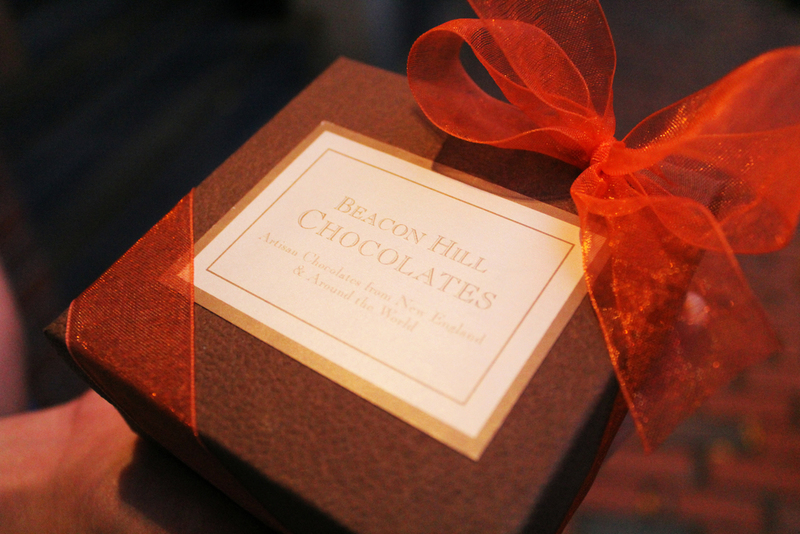 Beacon Hill Chocolates opened seven years ago, and the owners collect chocolate from all over New England and all corners of the world. The shop is tiny but it boasts unique and quality brands, and proprietor travels the globe to round up the best artisan flavors and bring them back to Beacon Hill for us to enjoy. The store also includes a case filled with truffles of all shapes and sizes. What I loved about the case was the selection of Fall flavors. I decided to try the Pumpkin Caramel and the Maple Leaf. They were both flavorful and worth the splurge. The pumpkin caramel was made with dark chocolate and rich pumpkin ganache; the maple leaf was milk chocolate filled with maple spice cream and pecan. The store also has a section where chocoholics can fill and weigh their own bags with options such as chocolate covered cherries, pumpkin caramels, hazelnuts, and toffee. I had a great experience in this little chocolate haven and I even got to pick out a present from the store’s wide selection of treats. All the chocolate is fresh and I can honestly say it’s the best chocolate I’ve had in Boston. With the holidays approaching, it’s a perfect place to search for gifts and holiday treats for family and friends. 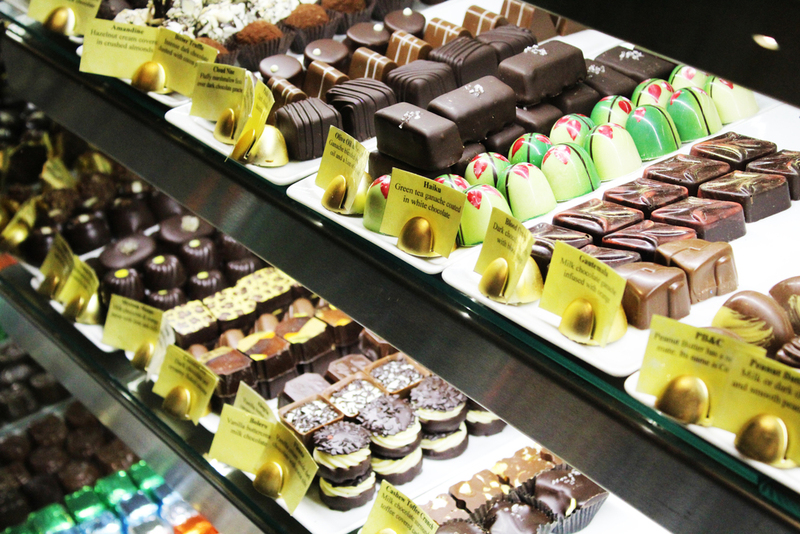 So venture out to Charles Street, enjoy the scenery, and splurge on chocolate.